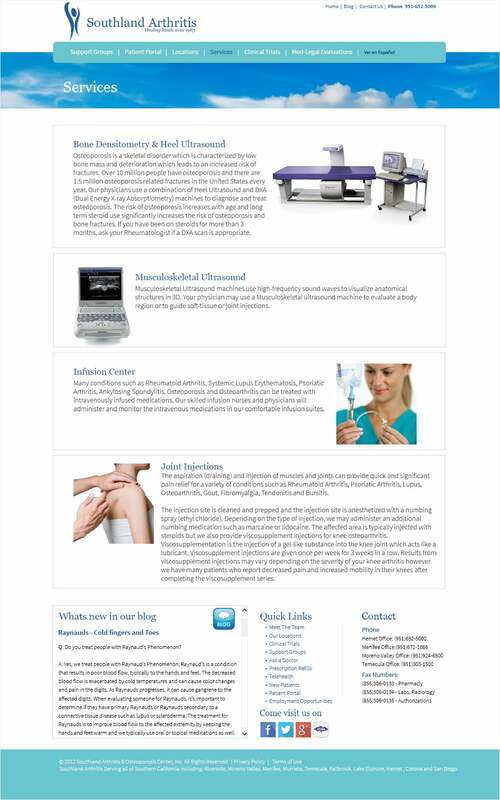 Southland Arthritis is an Arthritis and Osteoporosis center specializing in Rheumatoid Arthritis, Lupus, Fibromyalgia, Gout, Osteoporosis, back pain and more, with eight locations across Southern California. 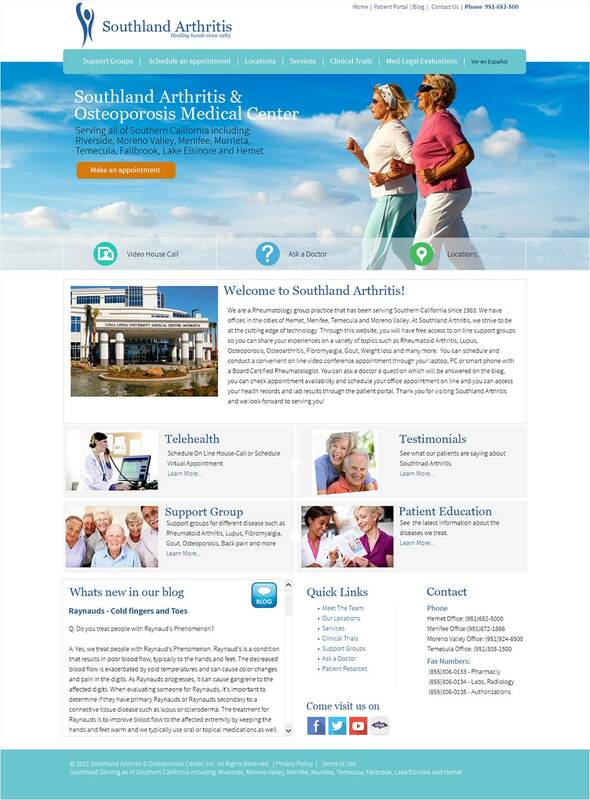 Southland Arthritis reached out to us with the need for a new brand and a comprehensive marketing strategy that would further increase their recognition. During our analysis we uncovered the primary target audience needs, and discovered what motivates them to make decisions. Based on our analysis, we concluded it was critical to create a logo brand that would stand out from the competition as clean and professional. The new Southland Arthritis logo brand is fresh, personal and professional. We then strategically developed a patient-friendly website that features an interactive online support group, ask the doctor a question, appointment schedule, prescription refills and access to your health records through the patient portal.